Technologies available for treatment of ARD and wastewater involve chemical, physical or biological processes. Our experts evaluate each site to develop a cost-effective process flowsheet. Depending on the site objectives, the final solution could require either one or more technologies. It is critical to choose the right technology to ensure project success the first time. Treatment for suspended solids can be done in situ with polymer added in line and settling in a settling pond. Polymer comes in two main forms, referred to as ‘dry’ and ‘neat’. Dry polymer is delivered to the site in a powder form, typically in 25kg bags, and utilized in a “batch” setup. The powder is transferred into a mixing tank where it is mixed with water to the desired feed solution concentration, and can be added into the feed pipe using a small metering pump. Neat polymer comes as a viscous fluid with approximately 35% concentration. Typically, neat polymer is diluted down to a 0.5% concentration prior to injection into the process. In-situ treatment options are cost-effective for projects that require short-term treatment such as pit dewatering, suspended solids management, or portable treatment plant for multiple sites. In-situ treatment requires very little infrastructure with relatively low capital costs. The portable treatment system typically includes a reagent dosing systems and can be either fully automated or manual. The plant can be easily modified for site-specific requirements by adding either alkaline reagent or coag/floc addition. AWT has conducted and supplied in-situ treatment for several sites in British Columbia to meet discharge requirements. 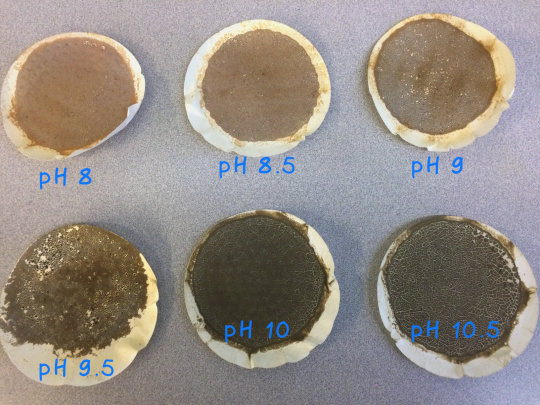 Even with new emerging technologies for water treatment, pH modification using an alkaline reagent is typically the most widely used and cost-effective option. 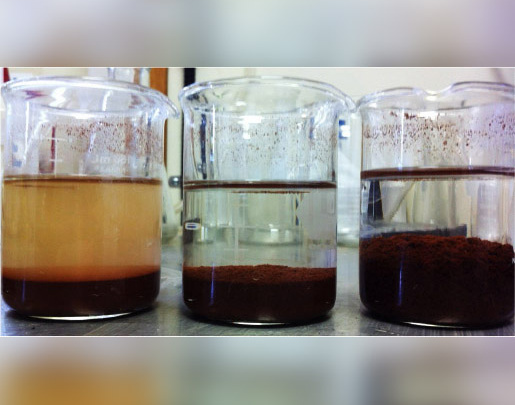 LDS (Low Density Sludge): Soluble metals in the contaminated wastewater can be precipitated using a lime slurry to produce effluent that meets regulatory requirements and sludge consisting of metal hydroxides. The main disadvantage of the LDS process is the large volume of sludge (typically 5% solids) and associated sludge storage requirements and costs. HDS (High Density Sludge): HDS process works on the same principle as LDS process except a small portion of the precipitated sludge is recycled and added to the system. This substantially increases the sludge density (greater than 50% achieved for some sites designed by our team). In addition to reduced sludge volume and superior sludge density, there is an increase in sludge stability, both chemically and physically. Due to it's free-draining characteristics, the sludge further densifies within weeks of deposition and possesses enough physical stability to support the weight of heavy equipment on the impoundment area. Following 35 years of impoundment at one facility, there has been no contamination of the surrounding groundwater or any other evidence of metal reversion. With more stringent regulatory requirements, sulphide precipitation has been used in conjunction with lime treatment at few sites to meet the discharge targets due to low solubility of metals sulphides. 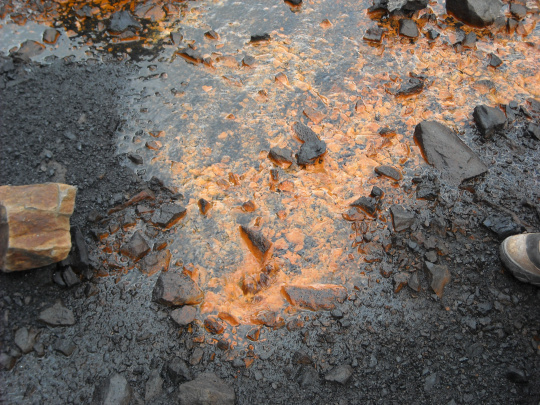 In addition, sulphide precipitation can be used for selective metal recovery (Cd, Cu, Zn etc.) and produce a marketable by-product. In recent years, ion exchange (IX) has been used as a polishing step of an HDS water treatment plant to meet more stringent regulatory requirements specifically sulphate. Cationic and anionic resins are effectively used to remove calcium and sulphate in an IX column configured as a fluidized bed reactor. 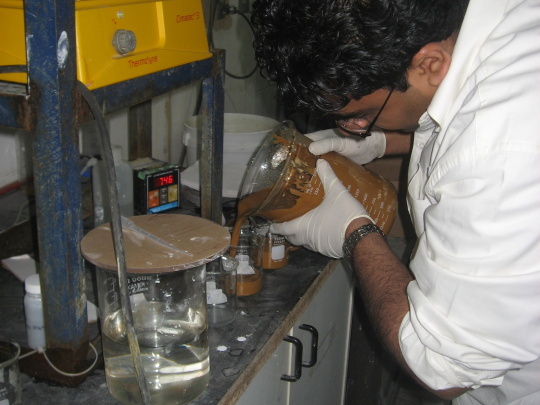 Treatability studies conducted by our team has shown 80-90% removal of sulphate present as gysum (calcium sulphate). All membrane technologies separate the feed wastewater into a permeate (clean water) and a brine (concentrated water). A number of membrane technologies including Nanofiltration (NF), Reverse Osmosis (RO) and Electrodialysis Reversal (EDR) are used as either stand-alone or secondary processes to treat wastewater.